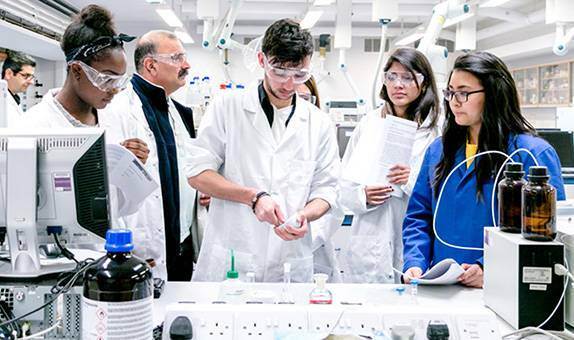 In the Faculty of Science Engineering and Computing we offer our students the opportunity to learn and grow in a real-world environment. Combined with our hands-on approach to teaching and learning, this provides our students with the skills ready for their chosen industry. These skills are taught within our world-class facilities, providing our students with some of the most innovative and advanced technology in order to have the freedom to invent, create and revolutionise their practice. 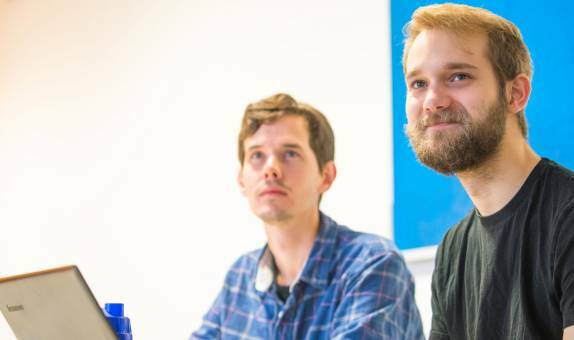 Each of our course page has details of the facilities you have access to when studying with us. Facilities are also available to hire. 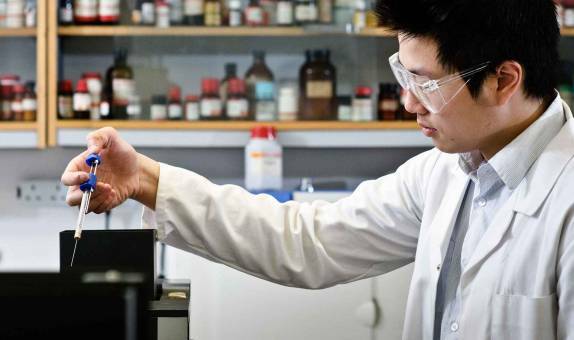 We can provide access to research facilities, specialist labs, cutting edge equipment and expertise, along with industry links within relevant business sectors. 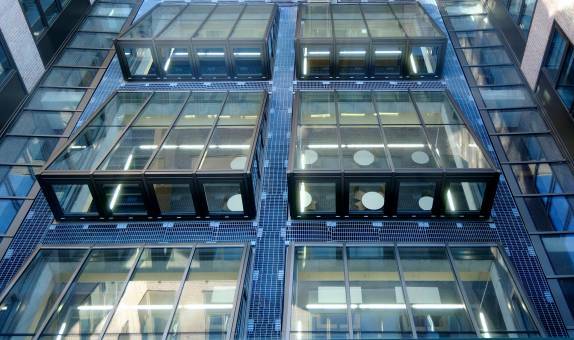 Below are examples of our world-class facilities. Our forensic science students have access to the scene of the crime house, which allows students to gain real-world practical experience using both specialist equipment and precise techniques to obtain and preserve samples and evidence from the scene of a crime. A real semi-detached house located on-site at Penrhyn Road campus, the facilities five rooms contain mock crime scenes, including burglary, arson, assault and sexual crime. Students have to pick up evidence carefully and transport it back to the labs for preservation and analysis. Even the garden contains evidence and is used by the forensic team's archaeologist for teaching. In addition to this we also have a crime laboratory for trace evidence analysis and state of the art analytical equipment for the detection of legal and illegal drugs of abuse. We have also developed our own brand new DNA analysis laboratory which allows students to analyse biological samples and determine DNA profiles. All students gain in depth expert witness training including mock courtroom cross examination at Kingston Crown Court. Our aircraft engineering students have access to our fully equipped Learjet Lab, this provides them with the tools and a real world hands-on experience to gain strong career prospects for the future. The Learjet Lab is fully equipped with visual display, instrumentation, pilot controls, motion base and an instruction station. 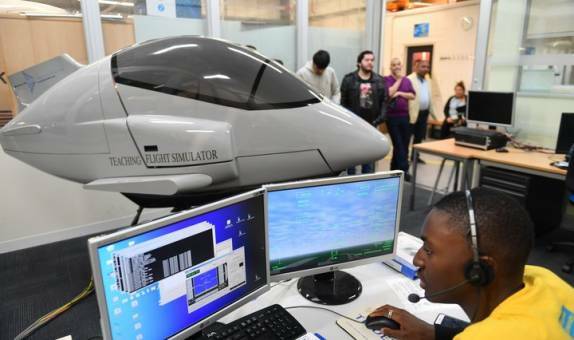 The lab also contains our very own flight simulator, where students are able to virtually fly their own aircraft designs. 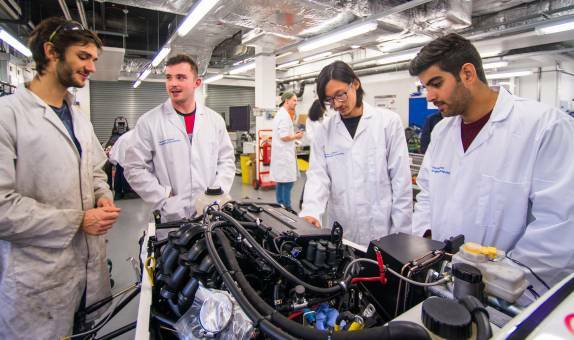 This lab has been specially designed to allow students to gain experience in diagnostics, inspection, condition monitoring, component and equipment replacement and rectification, key skills for any aircraft engineer. 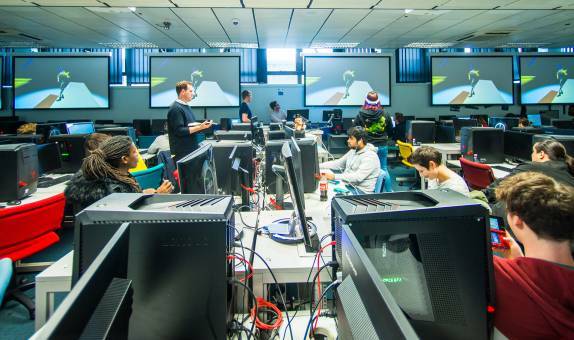 Our computer science and gaming students have full access to the University's CAVE (Centre for Augmented and Virtual Reality environments), a treasure trove of specialist equipment. 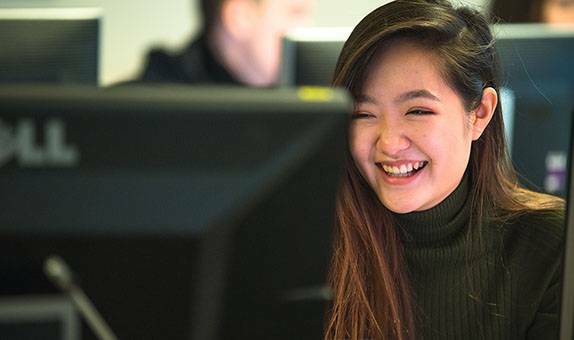 Using tools such as: Virtual Reality headsets and specialist equipment that tracks eye movements and brain activity, our students have the freedom to invent, create and revolutionise gaming. This state-of-the-art technology allows our students to monitor their user's levels of enjoyment throughout the game and the opportunity to tailor their creation accordingly. 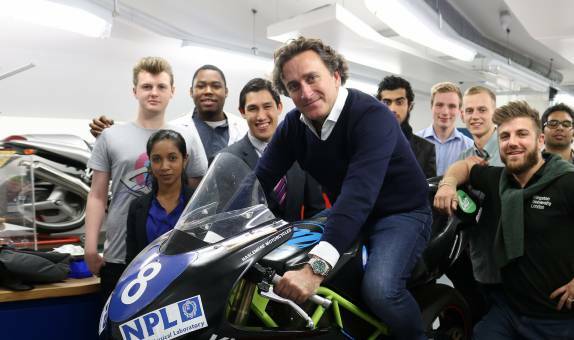 This Lab has also allowed computing students to work closely and collaborate with design students, promoting interdisciplinary work and allowing students to begin successful partnerships creating innovative products at the forefront of technology. 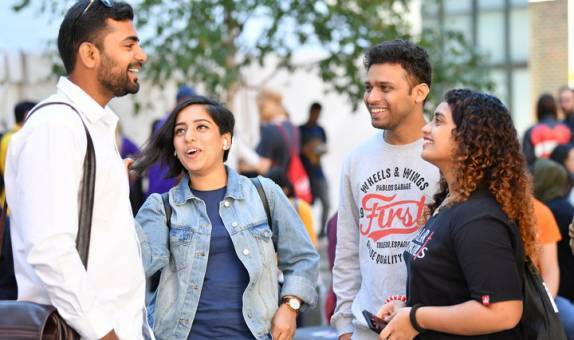 Due to this innovative technology and collaborative learning environment Kingston University has become one of only twelve universities to have obtained an educational partnership with Sony (2017). 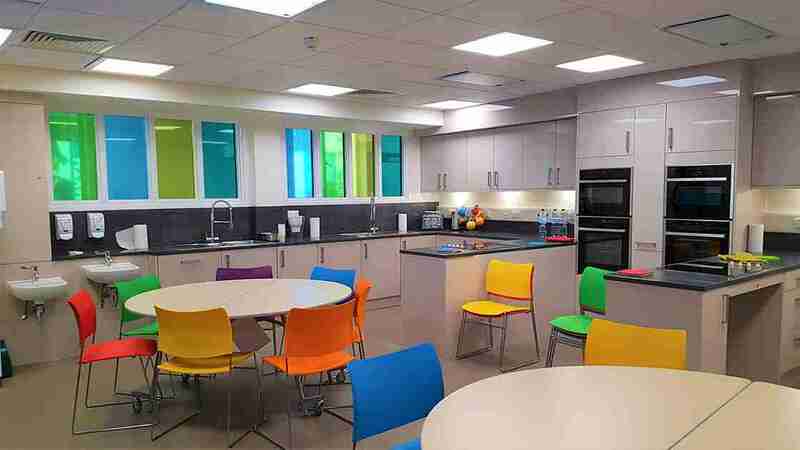 Our modern nutrition kitchen is a dedicated space that has been designed to the latest specifications. It is a flexible and inviting teaching space which we use for food science practicals, research projects and student nutrition society events along with small group teaching (eg. assignment and revision tutorials) and personal tutor meetings. 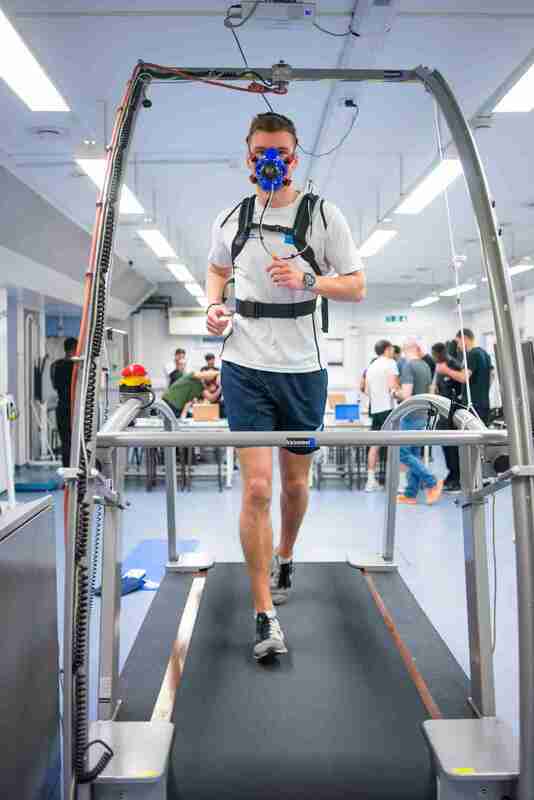 Our exercise physiology laboratory has sophisticated equipment that allows us to measure the physiological responses to exercise, such as: oxygen consumption, fat oxidation, heart rate, blood pressure and haematological responses, along with facilities to assess these in alternate environmental conditions through use of our altitude and heat chambers. We have a number of ergometers (eg. treadmill, cycle, rowing kayak) for analysing sports-specific performance. Practical work helps you develop your understanding of exercise physiology and your practical skills. 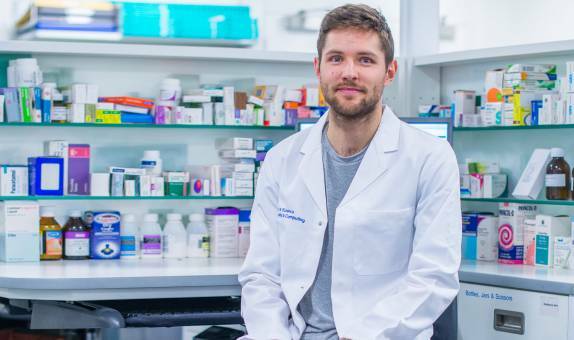 The high specification equipment ensures a high quality of research and allows staff to provide support services to top-class athletes from a range of sports. A large biomechanics laboratory provides space for teaching, research and consultancy activities. 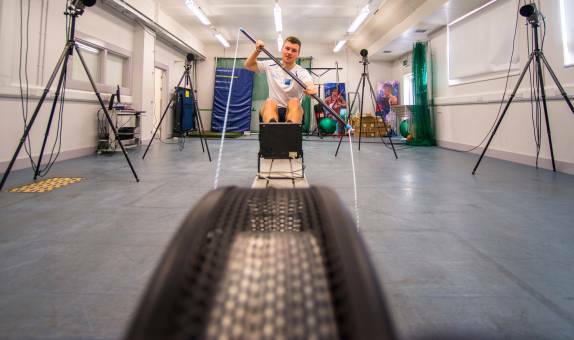 Here, we can accurately analyse sporting movements and skills using force platforms embedded into the floor, a nine-camera motion analysis system, surface electromyography and an isokinetic dynamometer. Whether you are developing a new product, need to test a prototype and measure results, or want to stage a conference or key meeting, we can help. To find out more, call us on tel: +44 (0)20 8417 3045 or email enterprise@kingston.ac.uk.